The European Jedi Order (EJO) is for all those who who want to make the world a better place by finding a balance between out spiritual and physical sides. The European Jedi Order (EJO) strives to bring together members of the Jedi Community in Europe operating as both an umbrella organisation to the many Jedi orders within its territory and as an order in its own right. We will also work with our international partners under a unified banner to ensure across the board standards. We will search for members in the Jedi community across Europe and aid them in the development of spiritual training. We will organise gatherings and events as well as train other Jedi and expand the community. The EJO aims to create a home, both physical and spiritual for all Jedi in Europe and provide spiritual, mental and physical training to all Jedi and prospective Jedi. To bring peace and balance to ourselves and others. 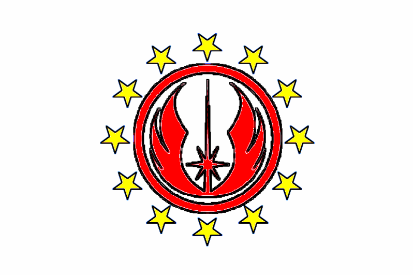 The European Jedi Order (EJO) is for now an online forum for (real) Jedi in Europe. The EJO also has a facebook group page. The EJO is not a role-playing game (RPG) but a place for European Jedi to come together and share ideas. Working together European Jedi can make the Order into whatever they want. The European Jedi Order (EJO) strives to unite all Jedi in Europe operating as both an umbrella organisation to the many Jedi orders within its territory and as an order in its own right. We will also work with our international partners under a unified banner to ensure across the board standards. As we search for Jedi in Europe we will organise gatherings and events as well as train other Jedi and expand the community. Tagged EJO, European Jedi Order, Jedi, Jedi mission, jedi order, Opie Macleod, real Jedi, The Jedi Circle, The Jedi Manual/Jedi101, What is a Jedi?